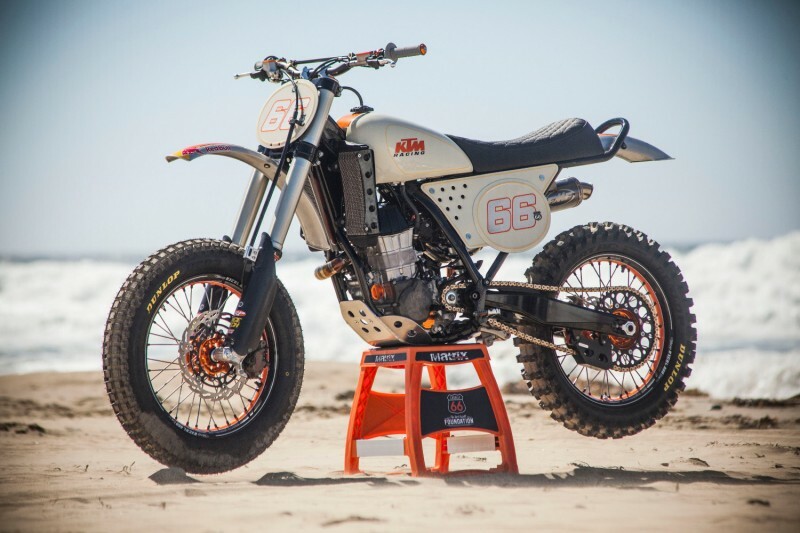 The KTM BLOG makes an exclusive visit to the custom star’s workshop in California for his view on the orange. 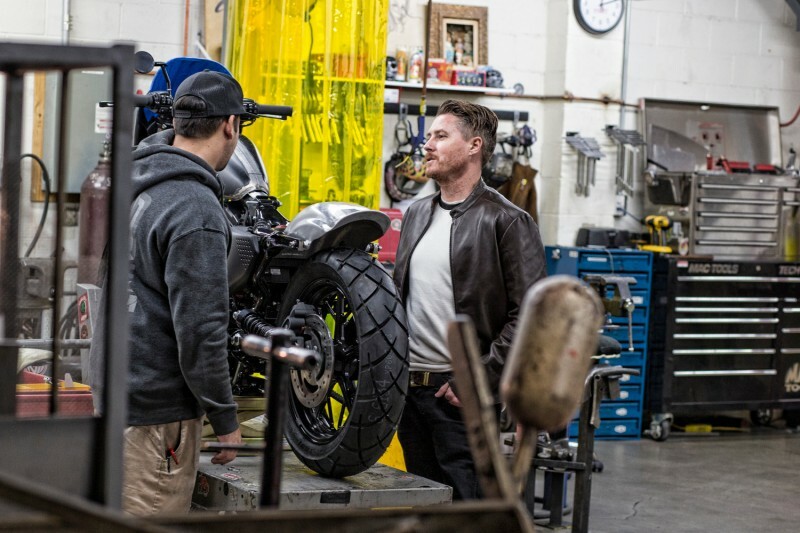 If you are going to find an alternative take on a motorcycle then there can be few better places than California to explore the custom scene. 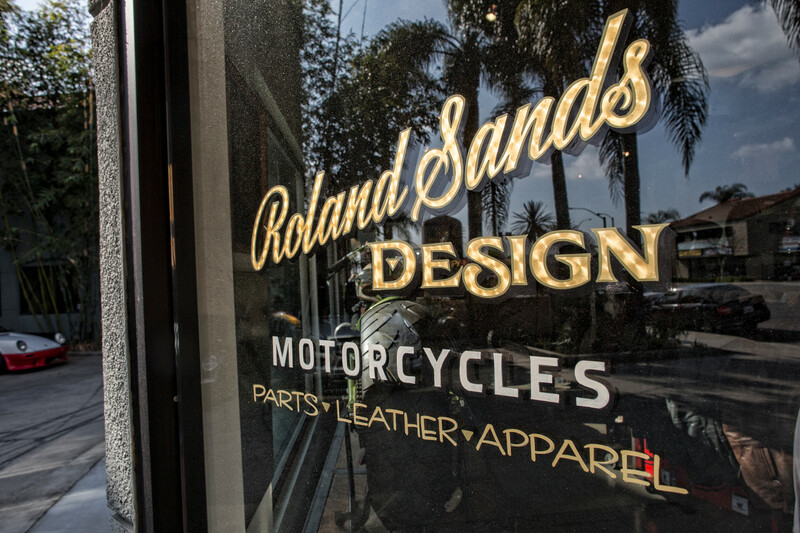 In the district of Los Alamitos, south of LA, we easily find the nerve center of Roland Sands. 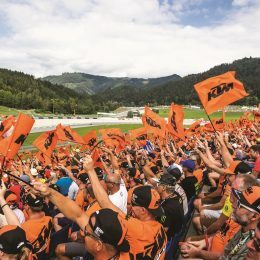 The 41 year old has done some remarkable ‘sculpting’ with KTMs – and many other bikes – in the last decade. 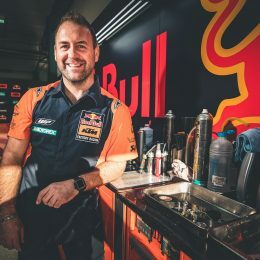 A swift look at his website shows models such as the fetching KTM 450 (road racer), 690 Cafemoto and Tracker and the RSD Kurt Caselli dedicatory machine and at least six re-imagined KTMs in total. We were keen to hunt the former 250 GP AMA road racing champion down for a talk about his vision and penchant for the orange bikes and although our morning at his cluttered but immaculately ordered workshop/office/store continually involves calls, questions and requests of his time by his busy crew, Roland is amiable, dedicated and good company. The name ‘Roland Sands’ has become prolific on the custom landscape, gathering attention and press coverage for a perspective on motorcycles that has no boundary for preference. 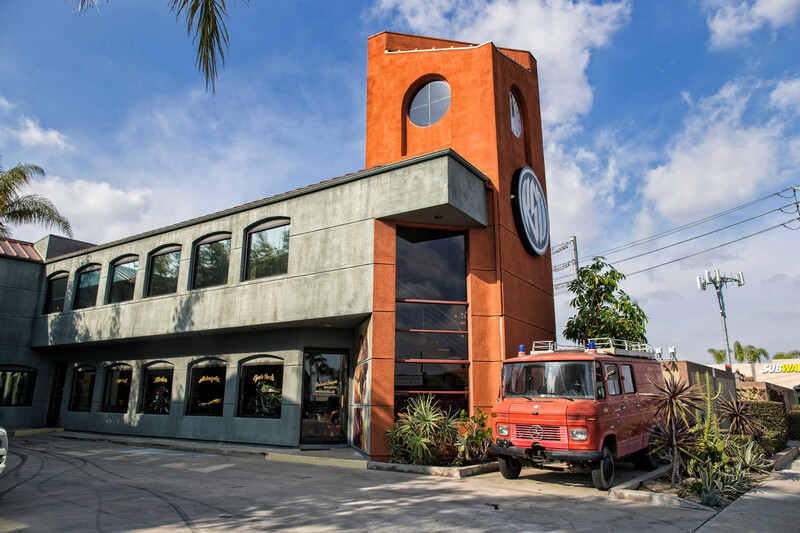 We see European brands, retro dirt trackers and trial bikes, nakeds, cruisers, sport-tourers and dirt bikes all parked around his facility. 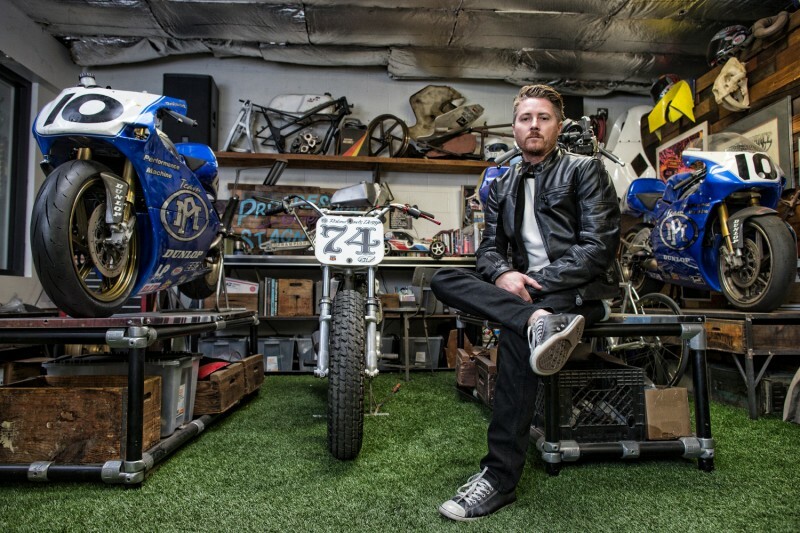 Affiliations with companies like Bell Helmets, various motorcycle manufacturers and his own branch into apparel and clothing means the business and ‘RSD’ brand is growing after only eleven years of existence, even if Roland has been sketching and designing from an early age as an initial means to support his racing. Downstairs a new Diavel is getting ready for a re-working. There are no KTMs on site but there is a smile and flicker of acknowledgment when we want to talk orange and why he was among the first of the high-profile builders in the U.S. to start carving up Mattighofen’s finest. 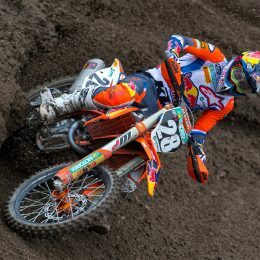 As a former racer it doesn’t take much for Sands to appreciate the link between KTM and the track. 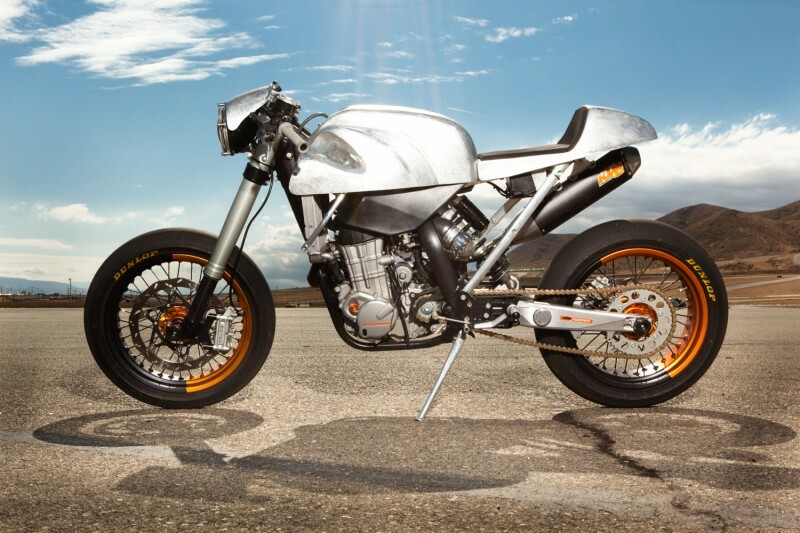 The ‘450’ is an apt example but there is a sadder (and strangely uplifting) story behind the Caselli build. 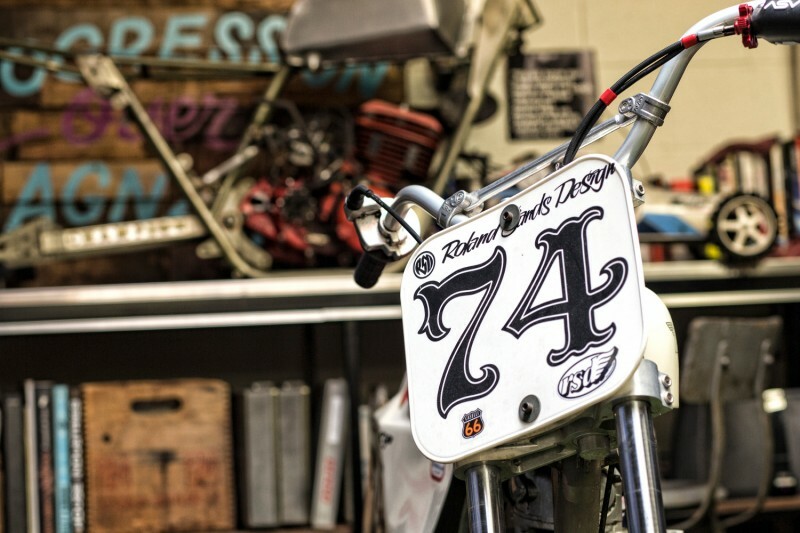 ‘Cool’ is a word that is impossible to detach from the Roland Sands set-up. 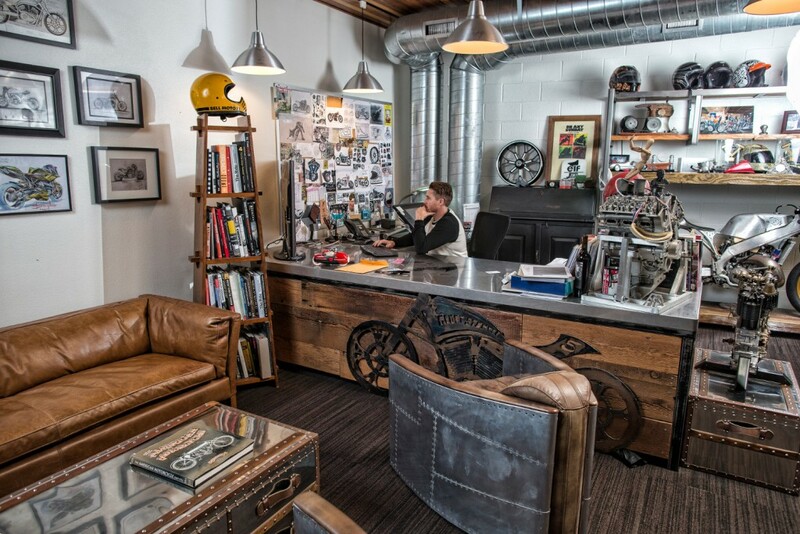 The Los Alamitos premises mix ambition, technical acumen, fandom, entrepreneurial savy and a deep-rooted fascination with motorcycling, going fast and looking ‘the part’. There is a powerful sense of open-mindedness and versatility to what Sands has been busy creating and it must be part of the reason why his name and efforts are becoming more and more popular.